Who’s Your Favorite Fighter in Super Smash Bros.? It’s a big weekend. The Game Awards rattled the games industry last night. Katamari Damacy rolled back into our lives with a remaster this morning. And then came the biggest game of all: Super Smash Bros. Ultimate. The gang is all here for the occasion, or rather, most of us. To celebrate the release of the biggest Smash Bros. game ever, we all offer our personal mains across those famous three platform stages. And we kick the same question back to you too: Who’s your favorite fighter in the Super Smash Bros. series? Waluigi. Oh wait, he’s not an actual fighter in Super Smash Bros yet. Like Caty, I’m not a huge Super Smash Bros. player, so I’m going to go with Captain Falcon. Yeah, the Falcon Punch and Falcon Kick are iconic moves, especially for a character who’s from a racing game where folks barely pay attention to drivers. 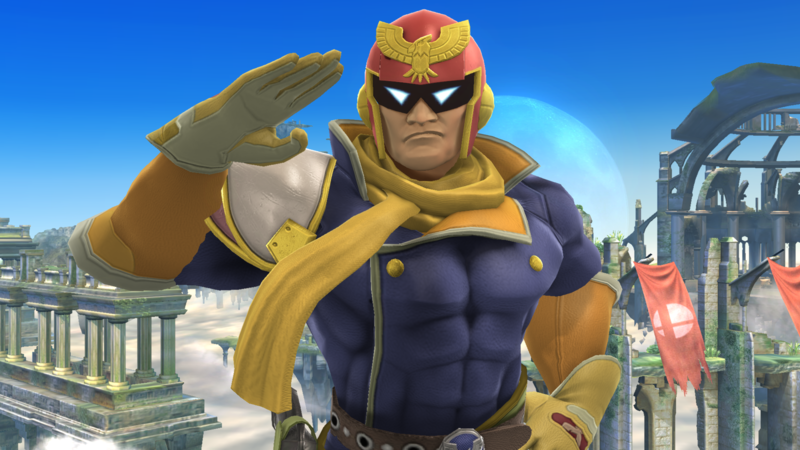 I’m partial to Marth as well, but I think Captain Falcon is going to be my dude for the purposes of this list. My favorite fighter was previously Marth, who I still main most of the time. However, starting with Super Smash Bros. Brawl, Bowser got some kind of grabbing/body-slamming move and it’s probably the best move in the entire series. So if you ask me who my favorite fighter is, I’m gonna go with the Big Koop himself. Also you can use the technique and take someone off the edge of the stage if you really just want to scorched earth your way to victory. I’ve always been more into Mario Kart, but I caved to the pressure of hype and picked up Smash Bros. Ultimate last night—incidentally, right before Joker from Persona 5 was revealed as a character, fancy that! With all past Smash games, I’ve played them for about a week and then bounced off; otherwise, they’re a mainstay to play at parties when people aren’t in a Jackbox Party Pack mood. As for my favorite Smash character, I’ve always gravitated towards Kirby. Kirby’s an easy to play character, can absorb foes for extra abilities, and has a handy hammer that I find essential. In Ultimate’s Spirits mode, you start off with just Kirby, and it’s been great. Kirby’s still the best. Otherwise, Villager and Link are tied for second. Inkling’s really complex in what I’ve played so far, so I imagine it will take some time for me to get used to her. Previous Postquel opérateur offre le meilleur réseau mobile ?